Training on the speed bag is a great way to improve your reaction time, coordination, and hand speed while also getting in a great cardiovascular workout. If you want to protect your hands from taking an unnecessary beating, then a good pair of speed bag gloves s a must. This is the place to find them. We’ll provide you with a review of the top 5 speed bag gloves on the market, along with a speed bag glove buyer’s guide and an FAQ to answer your speed bag glove questions. The Everlast brand is the best known in all of boxing and for good reason. Their Everlast Evergel Hand Wraps are our pick for best speed bag gloves on the current market. Here’s why. These gloves provide you with an excellent level of gel protection to your knuckles. Even though you generally don’t strike the speed bag with the full force of your knuckles, but rather the pinky side of the hand, it’s important to have this area protected. It will also provide gel padding through the pinky area, however. There is a covering of neoprene to give an extra layer of protection. You get some serious wrist support with these gloves thanks to the Velcro straps that cover the wrists. Combined with the general elasticity of the neoprene material that the glove is made out of, this gives you the best wrist support that we have come across in a speed bag glove. 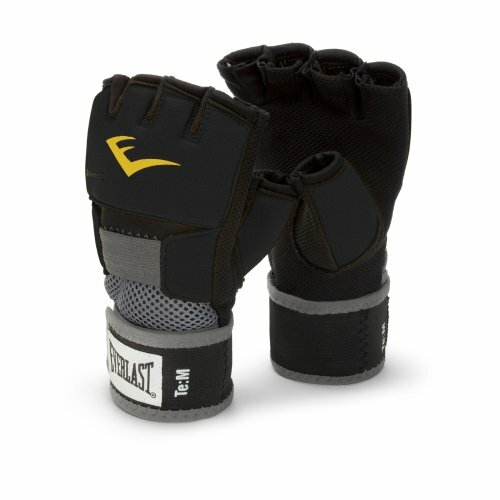 In addition to being excellent speed bag gloves, the Everlast Evergel can be used as conventional wraps and worn underneath your main pair of gloves. They provide you with a compact anatomical fit that makes them ideal for both purposes. 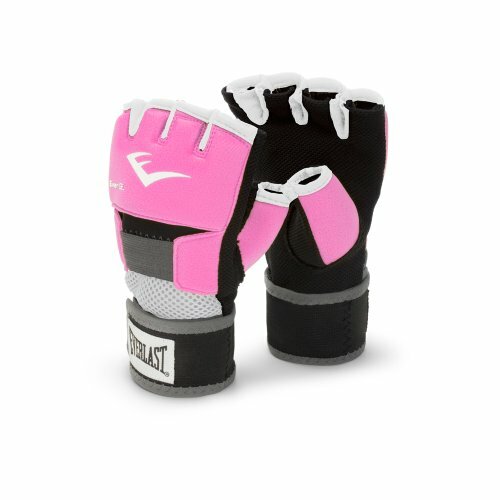 These gloves also come in a pink version for the ladies. The Title Boxing Speed Gloveis a dedicated glove just to use with your speed bag. We don’t advise wearing them under your heavy bag or sparring gloves because the leather will get too hot when worn under a second glove. It provides you with a good level of knuckle and palm protection thanks to the leather construction and padding that the glove contains. The padding on these gloves is more dispersed than the Everlast Evergel, providing wider coverage when using the speed bag. These gloves are surprisingly lightweight, especially when you consider that they are made of leather. They are considerably lighter and more compact than the Everlast Evergel. This gives them a better pop when you are hitting the speed bag. There is very little in the way of wrist support on this glove. This is another reason that you would not want to wear these as wraps for heavier gloves. 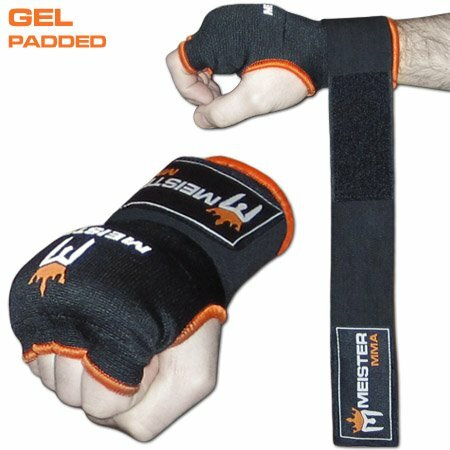 The Meister Gel-Padded Prowrap Hand Wrap Gloves are designed to be worn as wraps under your heavy boxing gloves. However, they also do a great job as speed bag gloves. Their gel integrated aero-foam padding provides you with plenty of knuckle and palm protection. The elastic carbon fiber material from which these gloves are made conform very well to the shape of your hands. These gloves also provide you with individual finger holes, which gives slightly more control when you’re working out. This also makes them very easy to put on and take off. As with the Everlast Evergel, these gloves can be used as both wraps for heavier gloves and as speed bag gloves. Meister gel padded prowrap hand wrap gloves are the best priced of all five of the speed bag gloves that we have reviewed on this page. That makes them great value for money. The Harbinger320 is a beefier glove than any of the others in this review. In fact, it could even be considered as a heavier bag glove. They will not, however, give you as good a level of protection as wraps and gloves. But the Harbinger 320 works just fine as a speed bag glove. Overall, this is a good general purpose glove that you can use when are changing up your workout. The Harbinger 320 covers your entire hand, instantly giving you a greater level of protection than many of its competitors. They provide you with a good level of padding over the knuckle and fist areas. While you do get some wrist support by way of a Velcro strap, it is not as good as some of the other options in this review, such as the Everlast Evergel. As a result, you should be wary about using this glove on a heavy bag. It should, however, be sufficient for use on a light bag such as the speed bag. Another potential issue with this glove is that you do not get a lot of padding on the main strike area in the speed bag, which is the pinky side of the palm. The RevGear Gel Hand Wrap has a good level of wrist support for a glove style hand wrap. This provides the protection you need when going all-out on the speed bag. The wrist strap has a length of 120 inches, can be custom adjusted and fastens very easily with a simple hook and loop system. The RevGear Gel Handwrap is a lightweight glove. It is made from neoprene and has been ergonomically designed to fit the shape of your hand. This glove has been fitted with RevGear Tech Gel to provide you with a high level of impact protection. Even thought the gel lining doesn’t go right round the whole hand, it does provide you with a good level of protection on the side of the hand. 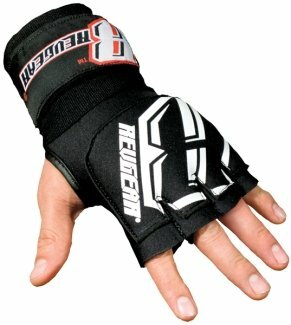 The RevGear Gel Handwrap is sold as both a handwrap to be used under conventional gloves, as well as specifically as a speed bag glove. They will do both jobs well. When it comes to speed bag gloves, there are four key considerations to make when weighing one brand up against another. While not as important as with a heavy bag or sparring gloves, you still need a decent level of padding in your speed bag gloves. In addition to absorbing the impact of contact with the bag, the padding will also affect the durability of the glove. And there is more to it than just the amount of padding in the speed bag glove. The distribution is also important. You want the weighting of the padding to favor the front side of the glove. The majority of boxing gloves, including speed bag gloves, are made from either real or synthetic leather. Within those divisions, there are numerous types. For instance, you can get genuine leather gloves that are made of cow’s hide, goat’s hide, kangaroo hide, and many others. 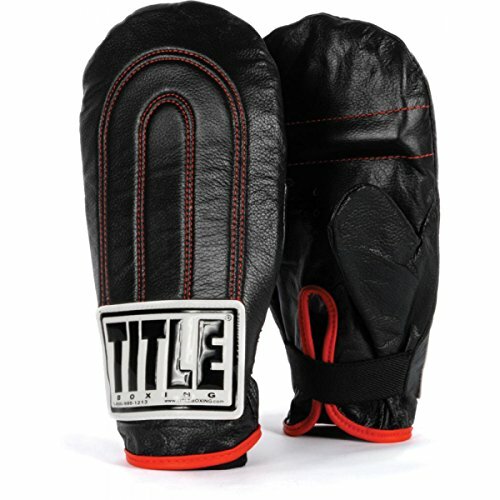 Your best bet is to go for a pair of genuine leather speed bag gloves, as these will be softer and more durable than any type of synthetic leather material. They can also be cleaned and conditioned more readily. The most important safety consideration when doing speed bag training relates to the wrists. That is why you need a decent level of wrist support in the gloves that you choose. The gloves should also have an attached thumb. You want soft liners on the inside of your gloves to provide comfort when you are making a fist. In addition, you want a pair of gloves that have a relatively short break-in period. You’ll have to check customer reviews for this one, but, as a head’s up, hand-made gloves, such as Cleto Reyes and Fairtex, have longer break-in periods. Do I really need gloves for my speed bag work? No, it is not necessary. Some people prefer to do their speed bag work with just their wraps on their hands. That’s perfectly fine – it’s really just a matter of what you prefer. If you are going to be boxing a lot, it’s probably a wise investment, just like a good speed bag and speed bag platform, which are essential indoor gym equipment pieces for any boxing enthusiast. How do speed gloves differ from heavy bag or sparring gloves? Speed bag gloves are quite similar to the other types from a visual perspective. However, they do not have the two to four layers of foam that you find in heavy bag gloves. Speed bag gloves are easier on your wrists and not as bulky. How can you determine the right glove size? As a general rule, the larger the person, the heavier the glove. Sparring gloves are usually about 2 oz heavier than training gloves. The following chart will give you a good guide as to glove size based on your bodyweight.